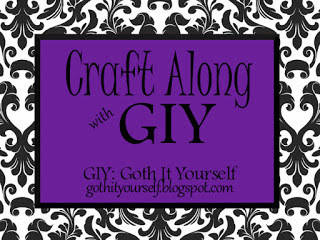 Bane's Crafty Month theme is repurposing by something old into something new or using a whole new purpose. This has to be my favourite theme, so far as I love repurposing anything and everything; Bane is definitely my source for inspiration. Not forgetting Pinterest. 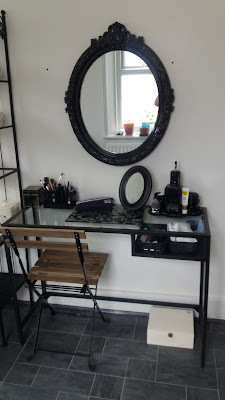 At the beginning of the month, I've had a number of projects that I have completed and the main thing is reorganising my dressing table in the bathroom, which the epitome of repurposed items. I have hade my glass table for a few years; it from Ikea and is great being repurposed as a dressing table. 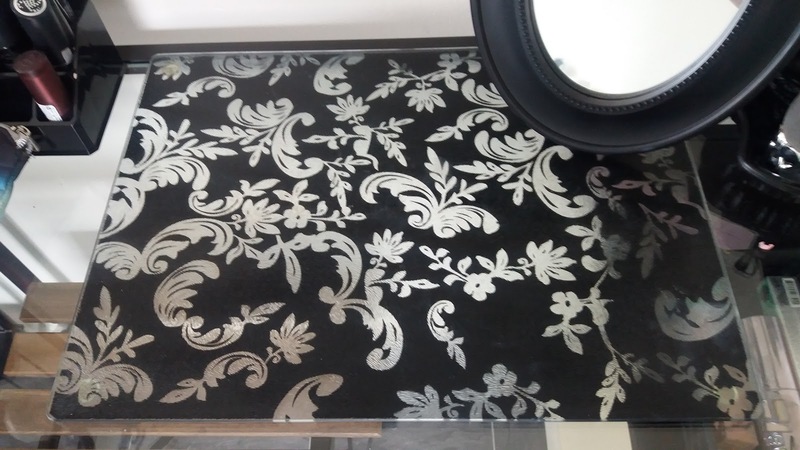 I purchased this for a pound in a charity shop it's a meant to be a glass chopping board but I used reused on my dressing table. I got the idea from Bane. 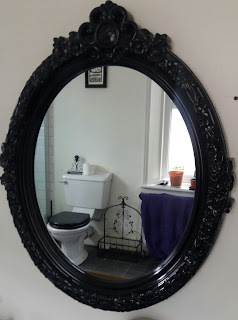 My mirror was secondhand from Gumtree and I paid a fiver for it I loved the ornate detail of it with flowers. 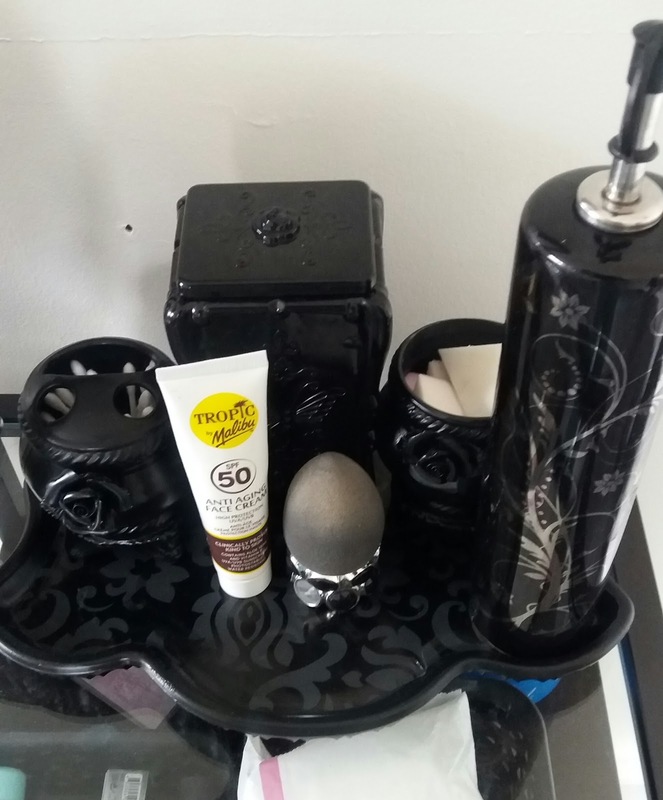 Last year, I bought these bathroom accessories for less than a pound and I spray painted them black. I use them for my makeup sponges and ear buds to clean up my eyeliner. 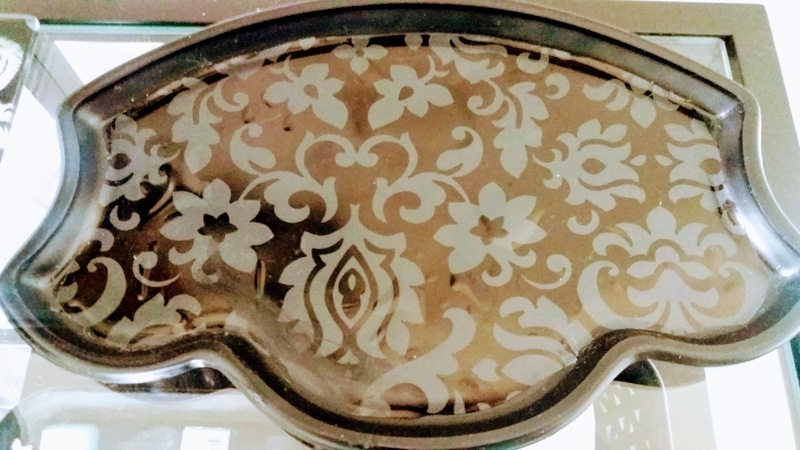 I purchased two bottles for sauces or oil olive and I loved the beautiful floral decoration on the bottle and used for my micellar water. 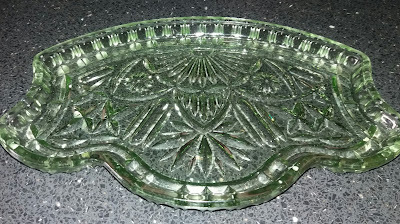 I purchased a glass tray from the local community shop with other glassware, it was pretty cool. I've been debating to spray painted black I finally give in and painted black. by washing it, priming it, and spray painting it black. to protect the painted surface with sticky back plastic. It's amazing what black spraypaint can do! Thanks I love what a bit of spray can do. 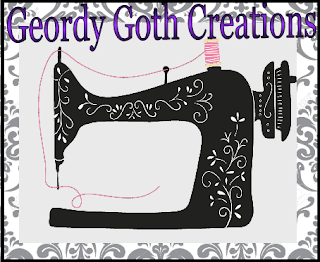 It can turn even turn the most hideous thing into something goregous. I will never cease to be surprised at how much things can be improved with paint! Love everything! Great work! Thanks thats so sweet. Me too, it's amazing what a bit paint can do. Thank you that's lovely of you to say. 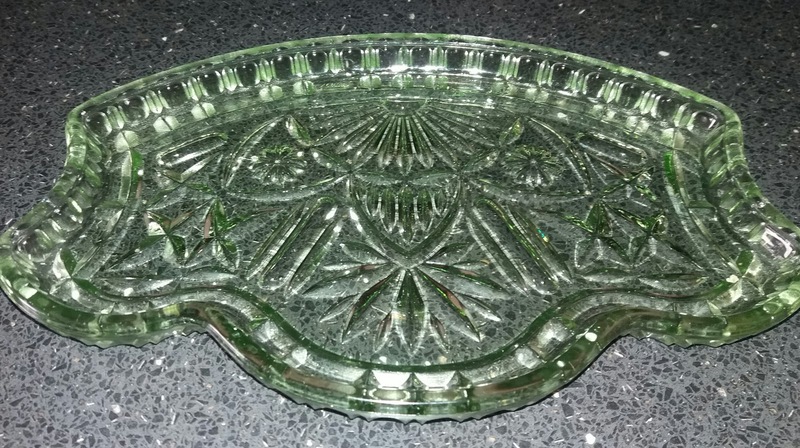 I've always loved old items and trying to give them a new purpose where possible. For me, Bane has been one of the biggest inspiration to me. Thank you that's so kind. Well, you got me into the black spray paint. It was fun. You are amazing Sarah! I love it all! I have to buy some black spray paint! Big Hugs! I love all the things you convert and re purpose! Everything looks lovely! Thanks that's really sweet.I love upcycling.